A well-maintained lawn does more than just provide curb appeal-it also enhances your home security by deterring burglars. Keeping your lawn lush and beautiful is easier than you think when you follow these tips. Spring is the best time to reseed your lawn with warm-season grasses such as Bermuda. Use a hand or lawn spreader, applying approximately 16 seeds per square inch of ground. Cover with a thin layer of straw, then water the seeds lightly. Water seeds daily until grass is at least two inches high, but do not saturate the soil as doing so might wash your seeds away. This rule applies only to new seeds. The rest of your lawn should be watered only occasionally, and deep enough so that moisture penetrates at least one to two inches below the root system. Once the new grass has taken root, apply a mix of fast and slow-release fertilizers containing nitrogen, but do not overfeed. Most varieties of grass require only one to two pounds of nitrogen per 1,000 square feet. Half that amount should be applied in fall, and the other half in spring. Do not feed your grass when it is dormant, which may happen during summer if drought-like conditions are present. You should also avoid using a pre-emergent weed killer until your grass is well established. When you think of a neat, well-trimmed lawn, you probably picture very short grass. 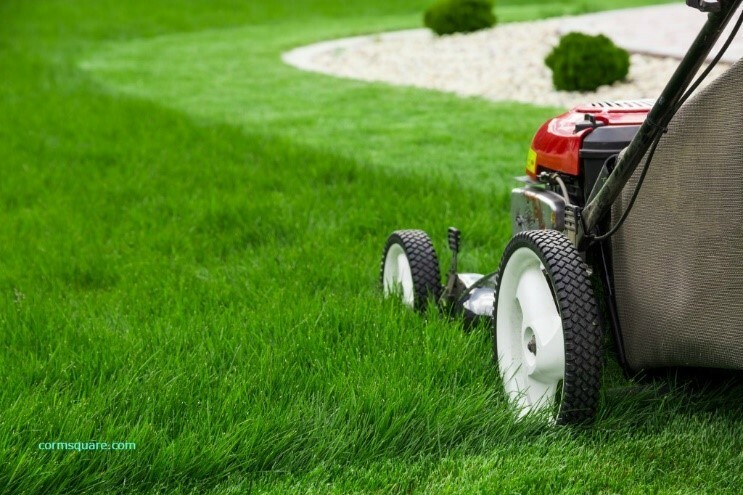 Even so, cutting too much at one time could actually hurt your lawn more than it helps. That is because cutting your grass too short could actually damage it, making it more likely that weeds will take over. A good rule of thumb is to never cut off more than one third of the grass blade. These tips will help you keep your lawn in tip-top shape, ensuring it does not attract the attention of anyone who is looking for an easy target. Aside from good lawn care, the next best way to protect your home is with the right security system. Having home security in Lexington, Kentucky is important, but choosing the right company is equally important. Being the best local security company in Kentucky, Bates Security will always take care of you, your family, and business!